After 27 years, we decided it was time to sell our home. We met with several local Realtors and in the end listed with Bob. We appreciated his honest and realistic assessment of the market with no lofty promises. Bob understands what it takes to sell a home. He wasted no time in getting the word out about the new listing and happily, we had multiple offers and sold our home in 30 days! Bob and Penny are such a terrific team, true professionals with a genuine concern for the best interests of their clients. It’s a pleasure working with them and we would highly recommend them for all your real estate needs. - Tim and Jeanette C.
If you need someone in your corner to really fight for you, you would be well advised to hire Bob and his jewel of a wife Penny. What a great team. Thanks-a-million! If you want a trusted friend in your corner, a knowledgeable Realtor and want your home sold, listen to Bob. He will get the job done and go the extra mile. I just wanted to personally thank you for your excellent service in listing and selling our home. Being out of state owners for this and other properties in Florida, we are all too aware of the challenges in finding competent individuals down there who offer the unequaled level of services that you have provided us. You went way beyond the call of duty to insure we had qualified tradesman to make the necessary repairs at a reasonable price and timely fashion. Your follow through, communication, and expertise has been invaluable to us during this process and it’s evident to us now why you are a top Realtor in your area. Should we need a Realtor in your area in the future, we will contact you without hesitation. Bob and Penny always went the extra mile (or two) to make us feel as though we were their only clients. All of our emails and phone calls were quickly responded to, often within a few minutes. Even after the sale completed, they’re still there for us, greatly helping to make the 'settling in' process easy. We can not imagine a better choice in highly knowledgeable Realtors than Bob and Penny Lorence. You’ll be enriched for the pleasure of knowing them. - John & Kathy L.
I cannot express our thanks enough for your efforts in selling our parent’s home. As you know my parents built this house and lived a wonderful life there for 30+ years at this home until the passing of our father. Your patience, understanding of our Mom’s grieving process, and the fact that my brother and I were located out of town made it easy to work with you. Countless e-mails, phone calls and discussions were always handled on your part with professionalism and with the utmost respect. There was never an item that you would not help with, no matter the request. You made things flow smoothly until the day of closing. So if anyone asks…. Bob Lorence is the right person who will do the best for his client like he did for us. - Craig & Robert P.
I highly recommend and endorse Bob Lorence to you. I chose Bob who sold my home for $60,000 more than other agents even considered. My home sold in just 2 days. Through networking (Bob and Penny know everyone it seems) they found a cash buyer - I had a signed purchase agreement in my hand just hours after listing with Bob. The property closed within weeks. Bob is extremely knowledgeable and conducts his business with honesty, integrity and professionalism. I would just like to tell you how wonderful Bob Laurence and his wife Cindy were to me throughout the entire process of selling my home in April, 2018. I had been with another realty company for 4 months with hardly any activity at all, very disappointing. When that contract was up, Bob and Cindy actually came to my home to talk with me about listing with them. I knew right away that they were the right people for the job, very informative and friendly, as well. They had it listed about a week, when all of a sudden I had all these people interested in seeing my home and less than a month later I had an offer that, with Bob's help and guidance, I accepted. They are a huge asset to your Company and you need to know that. I could not have a better experience. Dear Bob & Penny, I wanted to take a moment to give you both a big ‘Thank You’. The day my house hit the market, Bob got it sold. When the offer came in over the list price I was ecstatic! When you say pack your bags, you really mean it. I am looking forward to having you take me shopping for my new home! Sometimes in business and in life we find “talk is cheap.” But when Bob says he will take care of something, you can bank on it. We have had a wonderful home buying experience in Venice. Bob continues to help us get settled in and will be our contact when we return to the UK. If you want to work with the best, work with Bob. - Roger and Betty S.
We were frustrated when our home listing expired without selling. Then Bob Lorence from Michael Saunders & Company (a go getter) knocked on our door. We had the opportunity to hear how his creative and dynamic marketing would sell our home. Before we knew it, our home was under contract. Bob worked tirelessly on our behalf and got it closed. Bob also helped us to buy another home. One of the best attributes about Bob is that he really cares about us and our future. He helped us in so many unexpected ways. Bob Lorence is the best Realtor a person could ever use. - Horst and Edeltraut M.
We originally listed our home with a local agency and the property was placed on the Multiple Listing Service (MLS) to attract as many prospective buyers as possible. Our listing was shown to over 50 buyers by numerous agents in a nine month period of time. After all these showings, we did not receive a SINGLE offer. Totally frustrated, we took the listing off the market after 273 days. Within days, we were deluged with agents wanting us to list with them. Finally, one afternoon, Bob Lorence from Michael Saunders knocked on our door and introduced himself. He asked me if he could please preview our home in person because he felt confident he could market the home and sell it within 30 days. My first reaction was “Sure you can! !” After viewing the home, he asked if he could make an appointment in the next few days and give us a formal presentation with his assistant present. Their presentation was very professional, he suggested we still use the asking price we had previously and he felt confident he could sell my home in 30 days. Bob mentioned he knew a prospective buyer was coming in from Boston, MA. True to his word, he brought them to our home, showed them around, answered their questions and was leaving the premises to return to his office TO WRITE AN OFFER. Bottom line, Bob showed the home once, wrote an offer which we countered and sealed the deal. He closed the transaction at 98% of our asking price in one day. 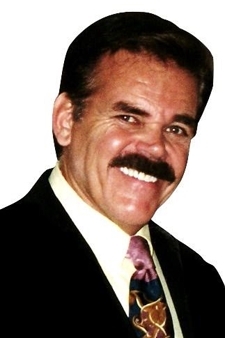 If you want to sell your real estate property, I highly encourage you to contact Bob Lorence. Let him work for you and sell your property in a timely, professional manner. - Ernie & Diane F.
It was a pleasure working with you. Thanks for the attention and professionalism placed on our house. We had been through other Realtors, but with you we felt as if our house was the only one you had for sale. Your communication and service was excellent. We would recommend you to anyone who needs their home sold. Thank you Bob and Penny for a wonderful job. - Martel & Flo H.
We tried to sell our home on our own when we met Bob Lorence. He studied our situation, tuned in to our needs and plans. He shared with us his marketing strategies and plan to get our home sold for the most money the market would pay. We gave him a try and are glad we did. After negotiating several offers, we accepted an excellent contract. If you want to work with someone who tells it like it is; that is honest and caring, while watching out for your best interest, we highly recommend Bob to get your home sold. He'll work tirelessly to get the job done. - Bob & Pat M.
How do you navigate this labyrinth and find a realtor than can actually deliver results? For me – I just got lucky. Bob was very gracious and genuine on the phone and I agreed to have him come to my home. I was particularly pleased when Bob said he was bringing his wife Penny along. Bob and Penny arrived exactly on time, went through a very professional presentation to show me their marketing approach, and made me feel that I was in good hands. They did not promise to sell my house in X weeks, but said they would work very hard to bring me buyers and were confident that I would be pleased with the outcome. And that they did. I signed up with Bob at the end of March 2017 and by late June I had a solid offer that resulted in the sale at more than 95% of the asking price. I truly feel that Bob was the key to making this happen. If you are serious about selling your home, I highly recommend that you work with Bob Lorence. I truly want you to have the same positive experience I did. There is no sure thing in Real Estate, but working with Bob and Penny will certainly stack the deck in your favor and they will not waste your time with unqualified buyers. We highly recommend Bob Lorence, the realtor who gets it done! Other realtors wanted to list our home for a lot less than what we could accept. Bob told us that with his marketing plan and techniques, he could get our property sold for $90,000 - $100,000 more than what other realtors said they would list it for. As of today we have accepted a cash offer for $94,000 more than any other agent wanted to even list it for. Bob's strategy for finding buyers is truly unique. Working with the Lorence team you can't go wrong. - Weldon & Janet E.
Bob’s honesty and integrity are the highest quality. He went the extra mile for me time & time again with the utmost professionalism and manner. He kept me well informed from day 1, until we had completely and thoroughly finished the sale of my home and the purchase of my new home. There were many other situations that I could not have handled without him and Penny, some unrelated to real estate. All this and he got my home sold ABOVE market price and found a home that was perfect for me. Bob truly cares about his clients. He always had my best interest at heart. He is exceptional. I highly recommend him and Michael Saunders Company. And I also thank Bob for making a donation of his earnings to the MSC Foundation. I am so proud to call him my Realtor and my friend. We strongly recommend Bob Lorence to get your expired home sold. Our property had been on the market for the last couple of years with a variety of realtors. We had a few showings with a couple of low ball offers, nothing was working. Bob shared with us why homes don't sell and just expire. He showed us exactly why our home hadn't sold, what an eye opener. Nine weeks later we signed a contract with a cash buyer Bob found in London. Bob is the best realtor; he stays in touch, keeps us informed and gets the job done. - Louis & Priscilla F.
After trying to sell our home ourselves and having it listed with others for almost 500 days, we were not only disillusioned but beside ourselves in what to do next. We both felt from our first visit with you, Bob, that there was definite difference between the way that you do business and the way the others do business. We listed our home with you because of your reputation and your marketing plan. WOW! We accepted a strong offer one day after being on the market. That same week you found us a perfect dream home. All this in six days. Thank you for helping us get our home sold so we could finally get on with our life. - Hienke & Max A. Bob and his wife, Penny, made a difference by being constantly available to me, calling me more than weekly, visiting often, and because of his professional demeanor and attitude, kept me sane throughout the whole selling process. Anything I needed, any questions I had, and anytime I needed a shoulder to "cry" on, the Lorences were there. Bob took the time to provide total attention to my needs. THAT is what I call a fantastic sales associate, and one that, if the need should arise, I would use time and time again and refer whenever possible. Of course with Bob Lorence at the helm, the sale went through without a hitch. We would like to express our gratitude for the excellent service we recieved from Bob Lorence. We realize that selecting a real estate agent is critical in the marketing and selling of a property, and fortunately we chose Bob. His professionalism and tenacity in marketing our property resulted in it being sold, and after the sale he assisted us in finding our new home. Our sincere thanks to Bob for his dedicated efforts and great results. - Tom & Elaine M.
We are glad that we chose Bob as our Realtor. We also heard from 2 families we know at Casa De Meadows that you did a great job in getting their two houses sold. You found all of us a solid buyer without going through other Realtors. Outstanding job Bob!! - Ingrid & Erich H.